Your image is very blurred, but I believe it could be a print from a series of "Edo hakkei" ("Eight views from Edo"), that was published about 1800-1802. Above are four other prints from the same series. 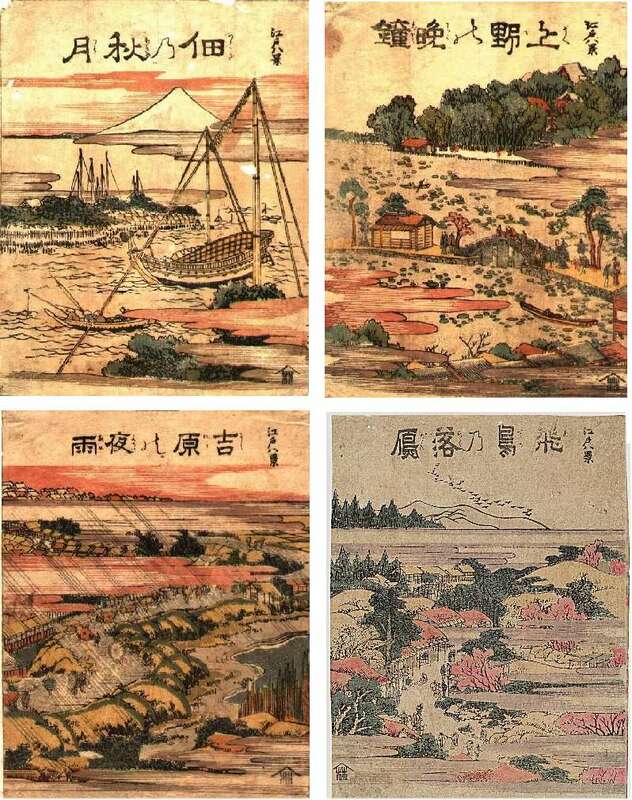 The individual prints carry no signatures, but they were most probably designed by Hokusai. I'm far from sure, but I believe your print could be depicting the Zenryu temple in Shinjuku. Anyway, a better image would be greatly appreciated.